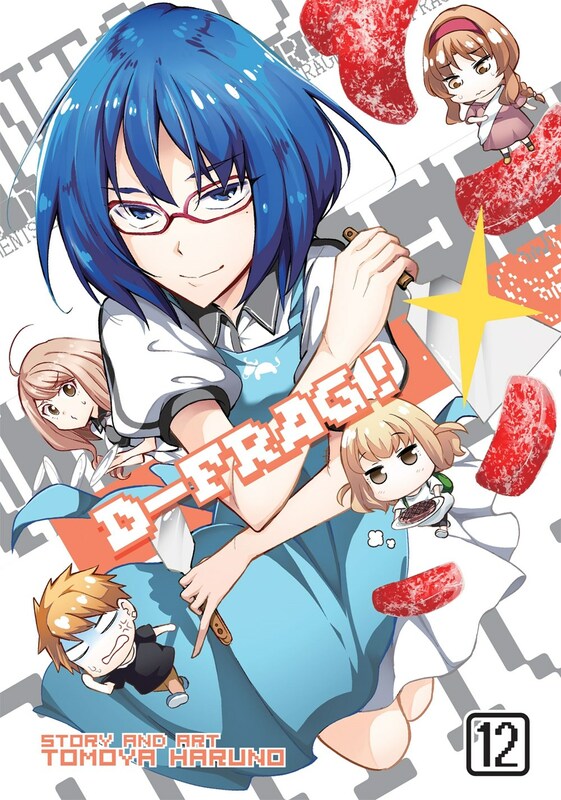 D-Frag manga volume 12 features story and art by Tomoya Haruno. 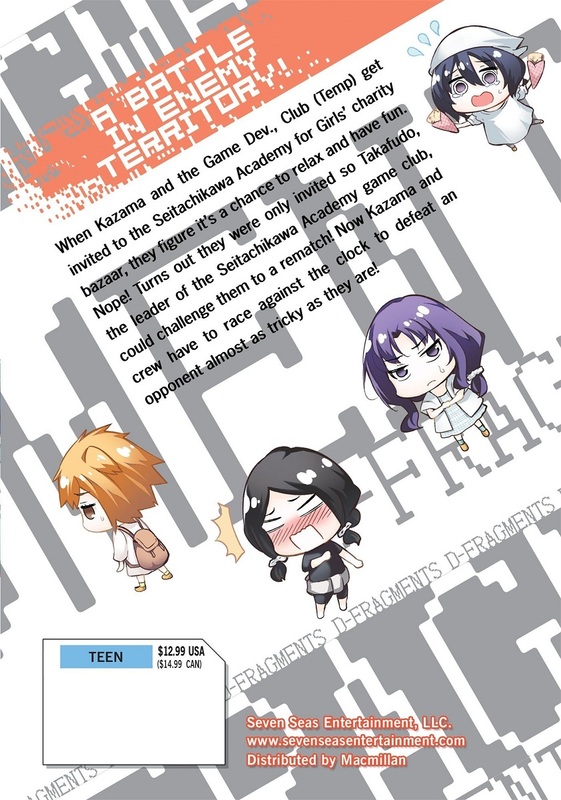 When Kazama and the Game Dev., Club (Temp) get invited to the Seitachikawa Academy for Girls’ charity bazaar, they figure it’s a chance to relax and have fun. Nope! Turns out they were only invited so Takafudo, the leader of the Seitachikawa Academy game club, could challenge them to a rematch! Now Kazama and crew have to race against the clock to defeat an opponent almost as tricky as they are!